A stump is a problem that many homeowners and businessmen deal with on a regular basis because trees are everywhere. While it doesn’t seem that a tree could cause a lot of hassle, it does have the potential to cause plenty of problems. To forestall any major problems, consider hiring a professional tree care company, such as JRP Services, Inc., to take care of your tree. This is the time to step back and look at the problem. There are several reasons that professional help is the way to go. First off, trying to hack out a tree stump with only an axe is just far too time consuming to be worth it. Leaving the stump will be an eyesore and could potentially grow back to a tree. 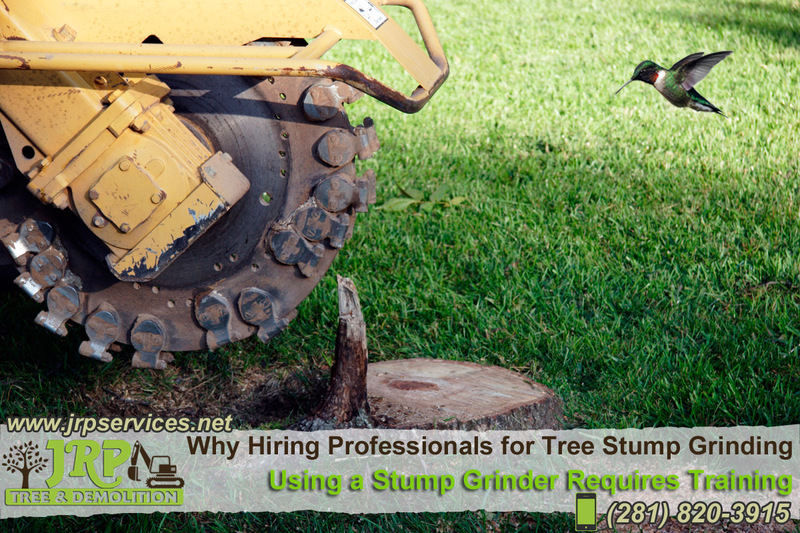 Also using a stump grinder requires training and is expensive to rent. In the end, it will be worth it to call up your local tree experts to take care of your stump. Call now at (281)-820-3915 for a quote, it’s free!